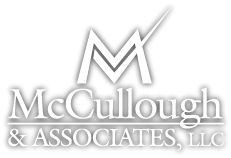 McCullough & Associates, LLC was founded in 1992 with the goal of assisting clients with their accounting and tax needs. In 2000, we began offering wealth management services to better serve our clients in every aspect of their financial lives. Our professionals take the time to learn your individual or business financial situation and goals. We then tailor our financial advice to help you achieve those goals. This has earned us a reputation for excellent service as we work with clients to create stability and security for their financial independence.